Q. Can we bring our dogs? A. Yes, but please understand these conditions. Your dog must be steady to shot. Dogs must be able to sit quietly while birds are working. It’s for everyone’s benefit and safety. We prefer that your dogs be experienced and trained. 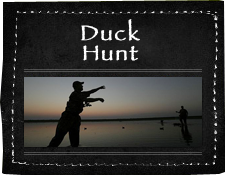 Any questions, please ask while booking your hunt. Q. Do I need to send a Deposit? A. Yes, a 50% deposit is required for your group, upon receipt a confirmation will be issued by fax or email. No guarantee of hunting dates will be given without a deposit. A confirmed date is a sold date and cannot be refunded, as we are completely booked into the season and in many cases have to turn hunters away. Q. Do I need waders? A. They are not a necessity as long as you have waterproof boots. However; some hunters prefer them to keep warm and would like to get in water while helping put out decoys. Q. Who will process my birds? A. Processing can be arranged for $3.00 per bird. Please let your guide know before the hunt if you want this service to be provided. Q. What items should I bring?